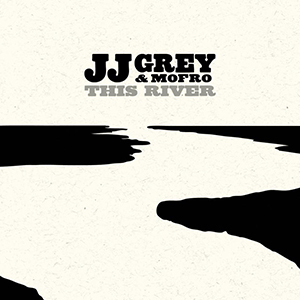 June 2013 brings the release of JJ’s sixth studio album, This River. Named for the St. John’s River — a centering point for his childhood near Jacksonville, Florida — This River flows from freewheeling celebrations (Florabama) to dark inner journeys (Somebody Else), from late night, beer-soaked testimonials (Your Lady, She’s Shady) to heartfelt ballads of the almost-forgotten (The Ballad Of Larry Webb), and ends with the title track and a singularly devastating vocal performance. With Dan Prothero at the helm as producer, JJ and the band once again returned to Retrophonics Studio in nearby St. Augustine, Florida and muscled out some of JJ’s strongest material to date. Many of Grey’s songs reflect his love for the North Florida wilderness in which he grew up. He’s watched his native home be decimated by egregious development, and this has often figured heavily into his lyrics. He now works with groups such as The Snook & Gamefish Foundation and the St. John’s Riverkeepers, but still doesn’t consider himself an environmentalist.